BioSport physical therapy, on the other hand, refers to steps the patient will take (as instructed by a therapist) to treat and reduce lower back pain. 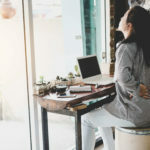 Typically, this comes in the form of different exercises and stretches that are designed to reduce lower back pain and minimize future flare-ups as well. Some common examples of active physical therapy may include low-impact aerobic conditioning and back strengthening exercises. These can be done in your physical therapist’s office or at home, depending on your specific needs.